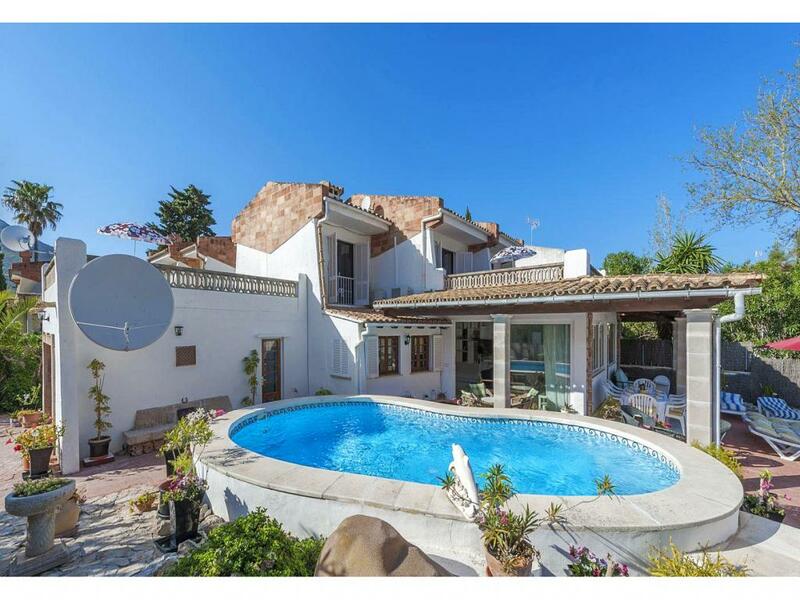 Luxury 4 Bedroom, 4 Bathroom Villa with Mountain View and a Private Swimming Pool , Air Conditioning, WiFi, Table Tennis, Satellite TV, near Golf, Sleeps a maximum of 8 people. 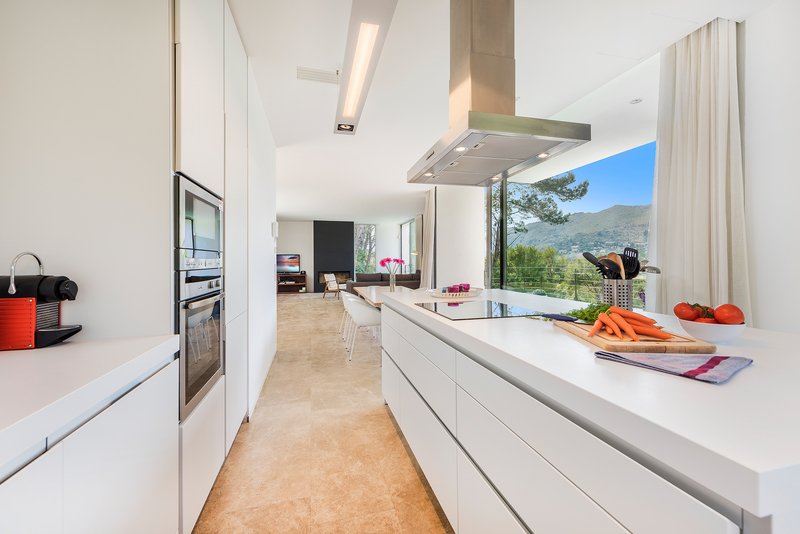 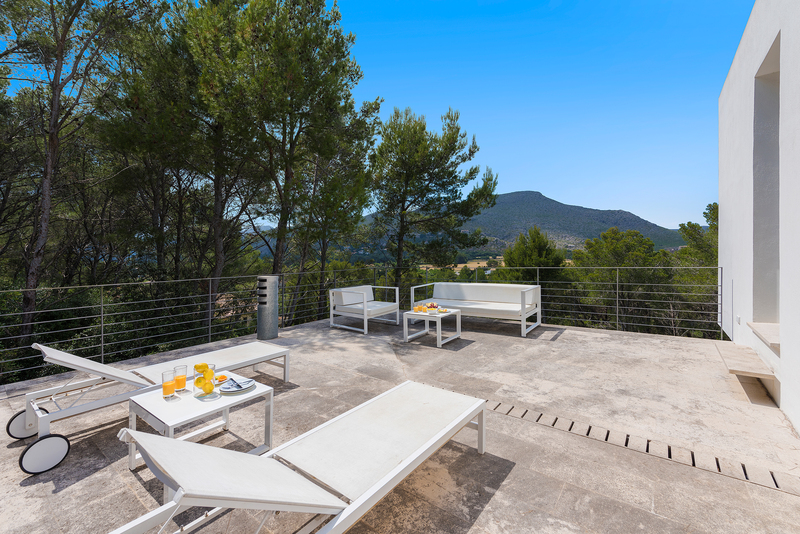 This superb modern villa nestles on a delightful terraced hillside in the upscale north Mallorcan resort of Puerto Pollensa. 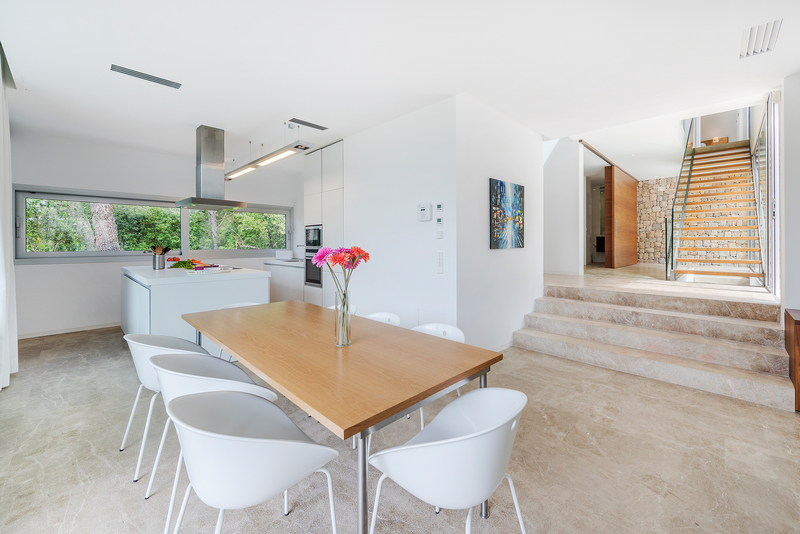 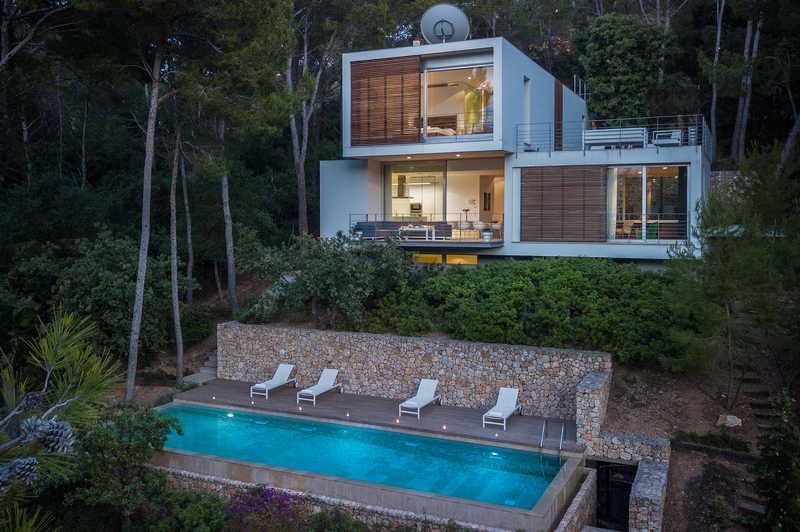 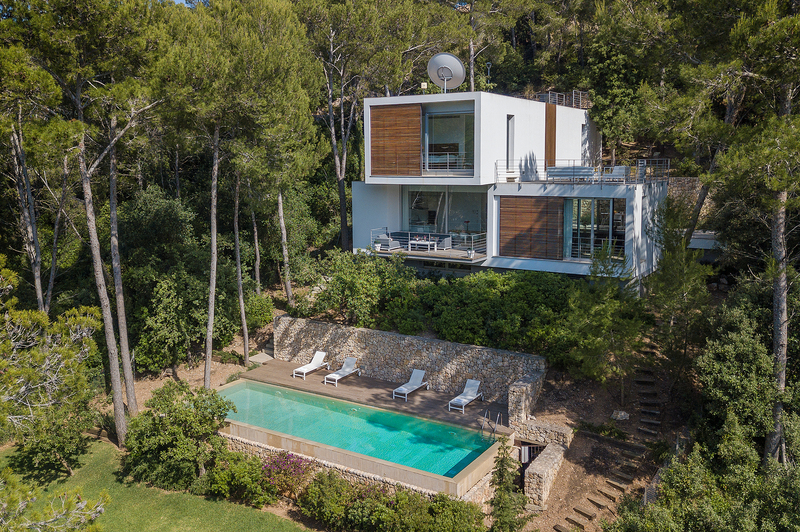 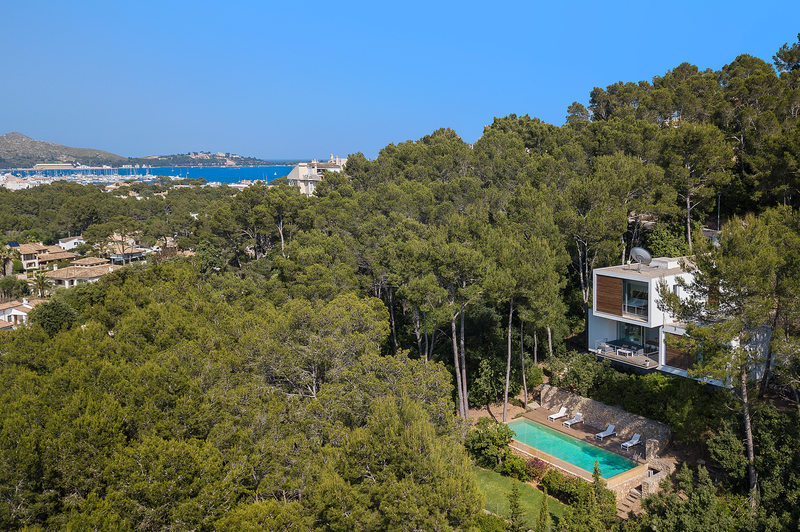 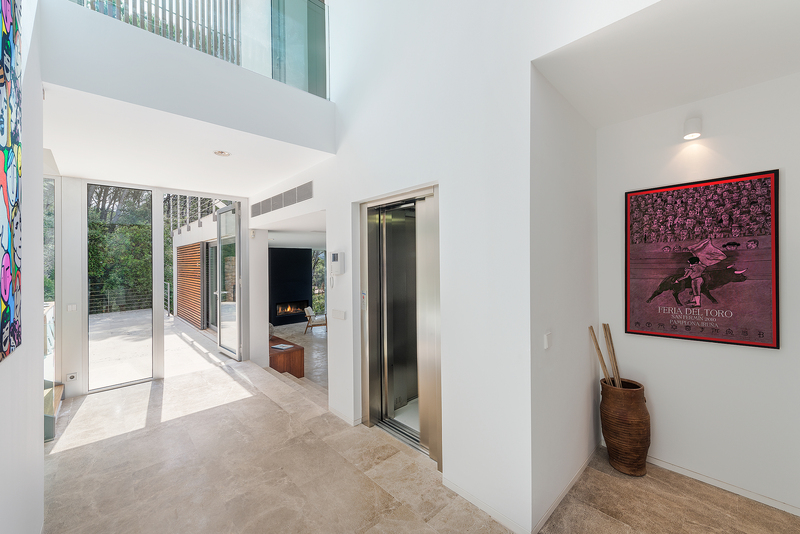 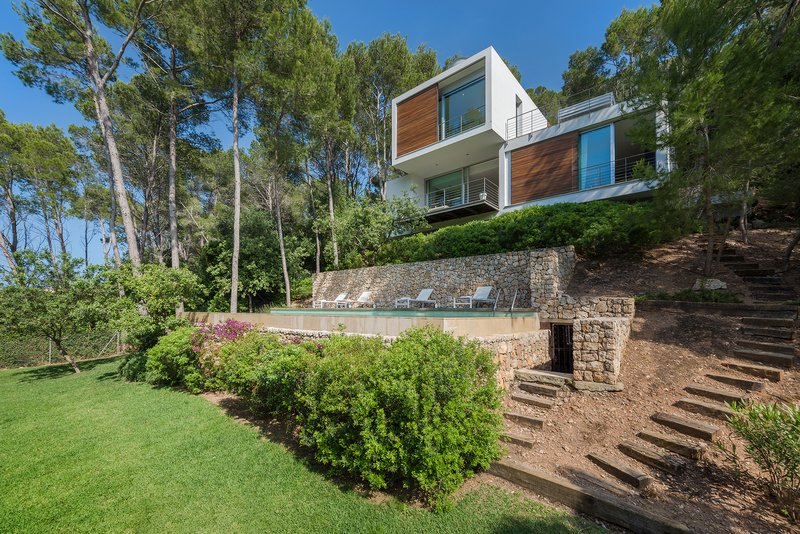 Villa Gotmar 138 is, architecturally speaking, a work of art. 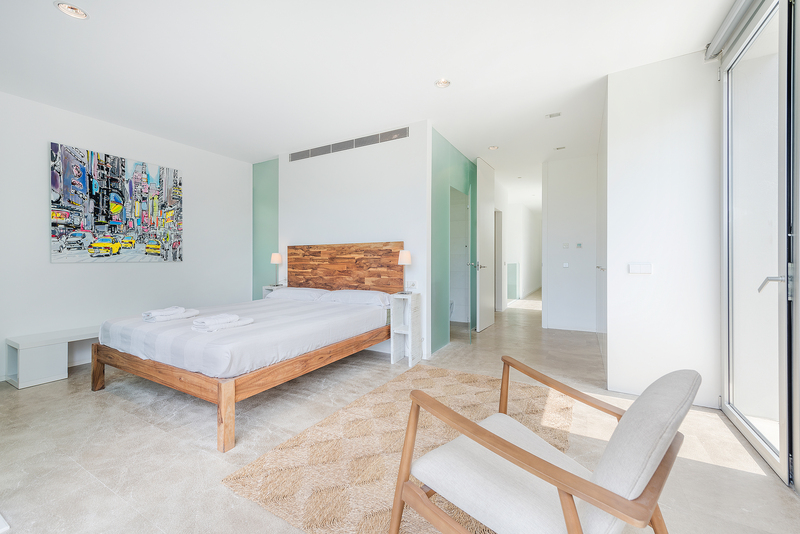 Highly innovative design, sweeping horizontal lines, a minimalist aesthetic...this is what the good life is all about. 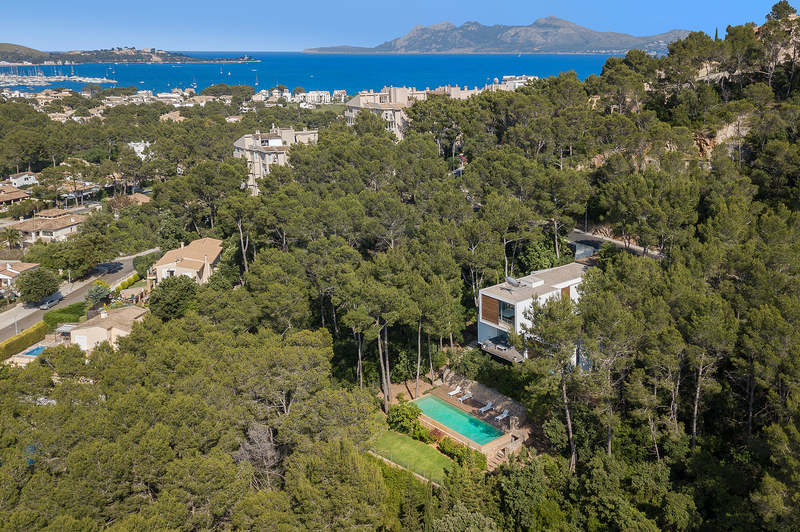 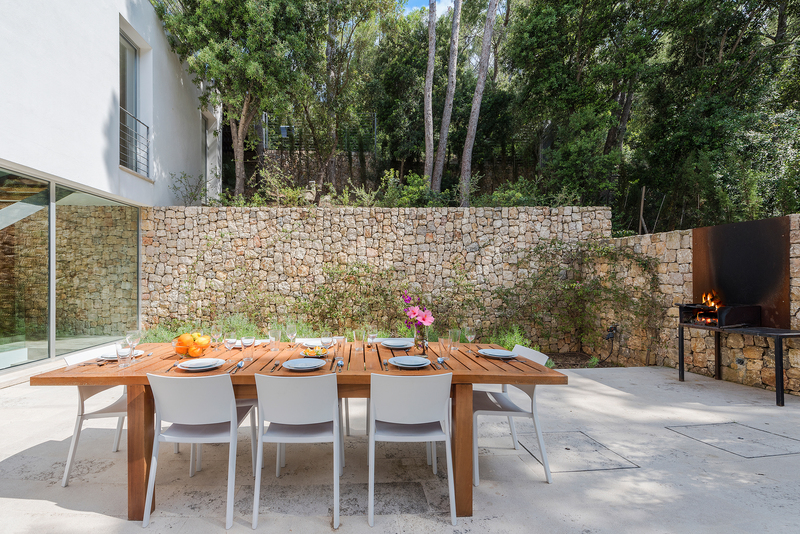 Villa Gotmar 138 is just 1,600 metres from the golden sands of the beautiful Bay of Pollensa, and a stone’s throw from the resort’s chic shops, trendy bars and yacht club. 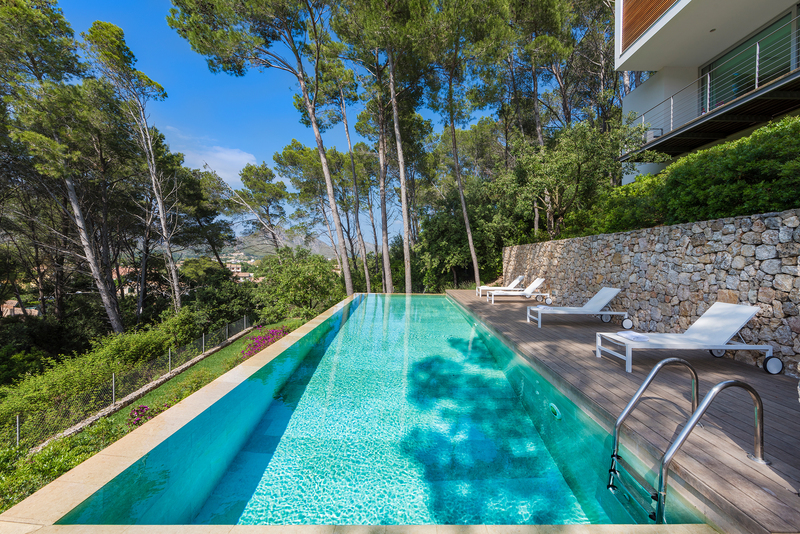 Yet you wouldn`t know it: relax on the sunny terraces that surround the infinity swimming pool and you feel like you are in a private hideaway in paradise. 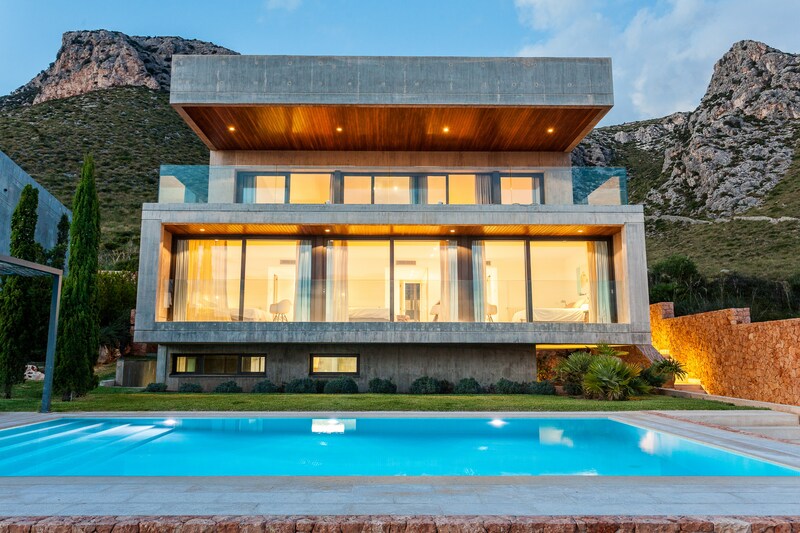 The property itself is fabulous, both inside and out. 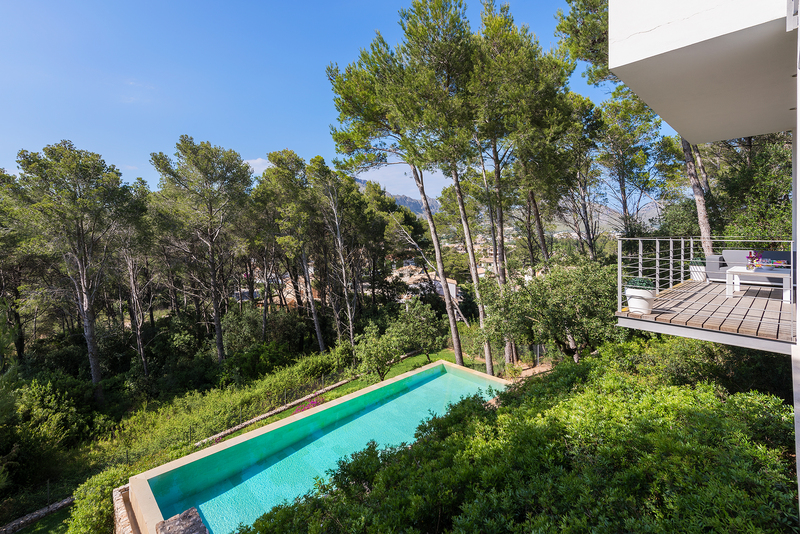 The terraced landscaped gardens are surrounded by mature pine trees. 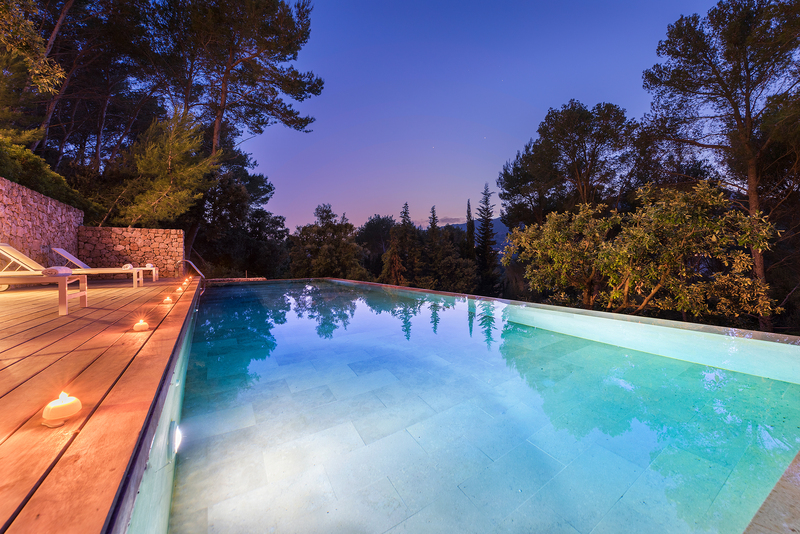 The large (12.60m x 4m; depth 1.20m - 1.90m) infinity swimming pool is sheltered by a lovely stone wall and looks amazing, particularly when illuminated at night. 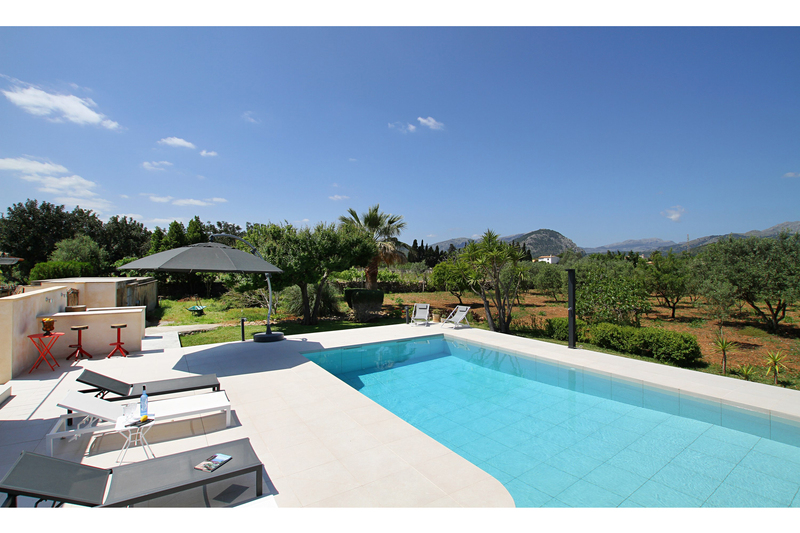 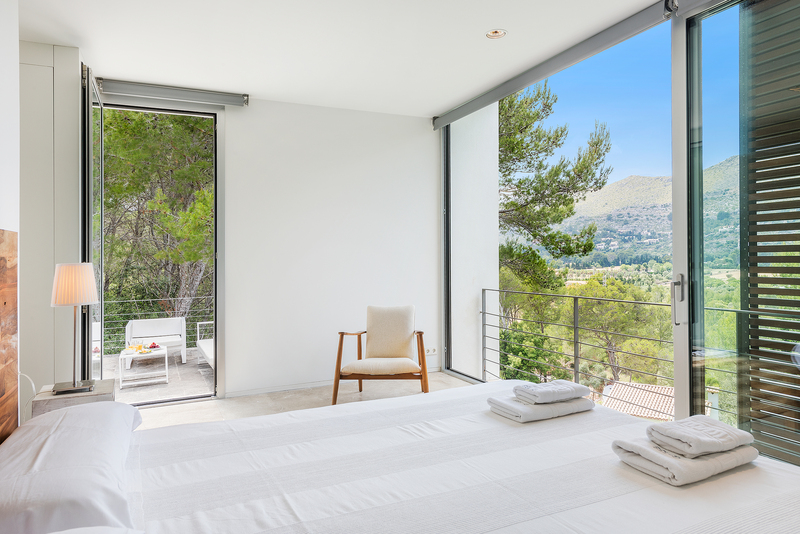 You also enjoy superb views towards the lovely Tramuntana mountain range. 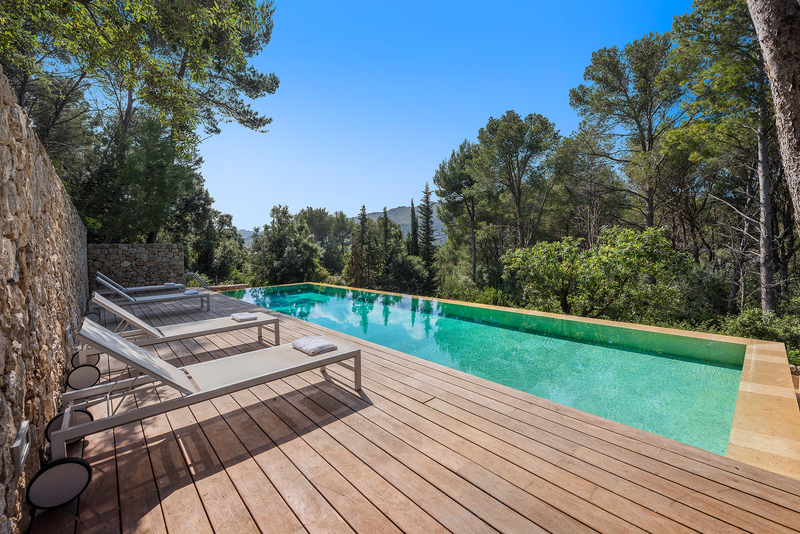 Villa Gotmar 138 is carefully planned over a number of floors, and you don`t even have to climb the stairs as there is an internal lift to use. 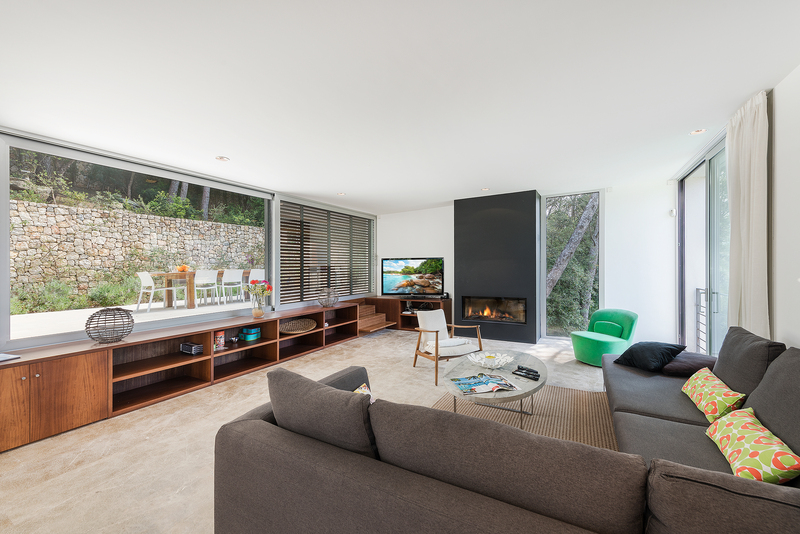 The main living space is a dream. 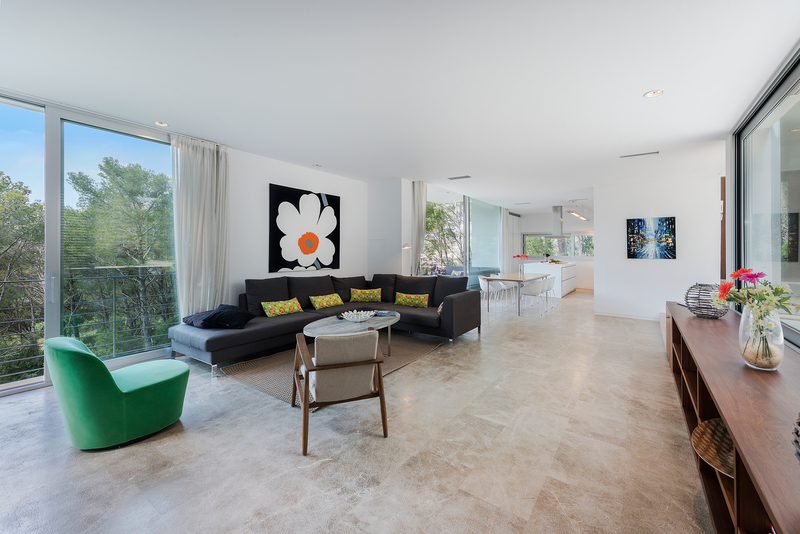 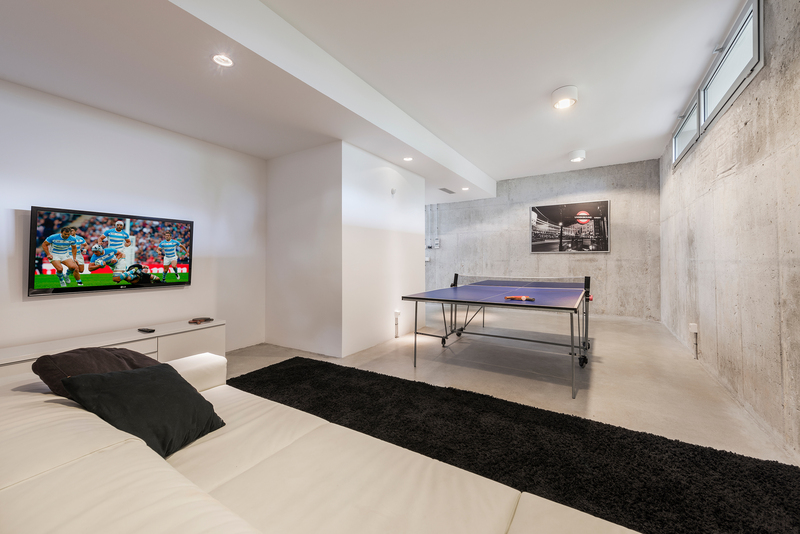 A spacious open plan lounge, kitchen/ dining room and TV room looks out to the pool, appealing to the senses with the cool, chic contemporary designs. 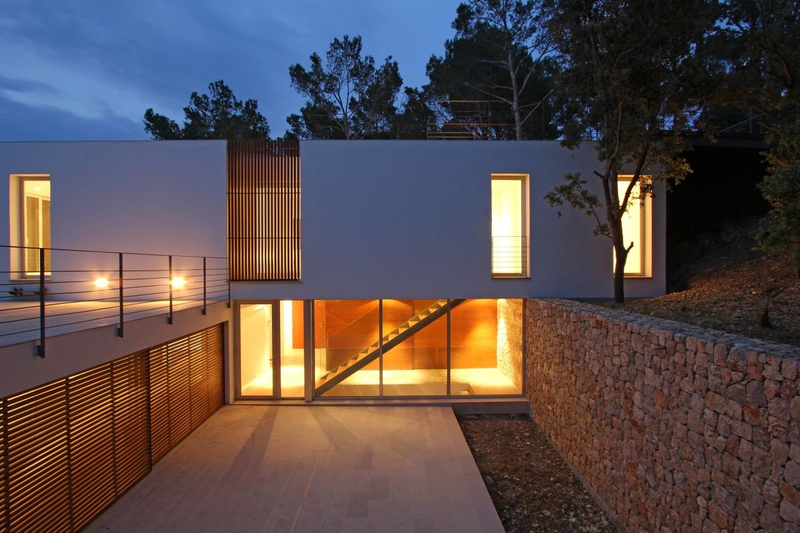 Huge room-sized windows allow the soft Mediterranean light to flood in. 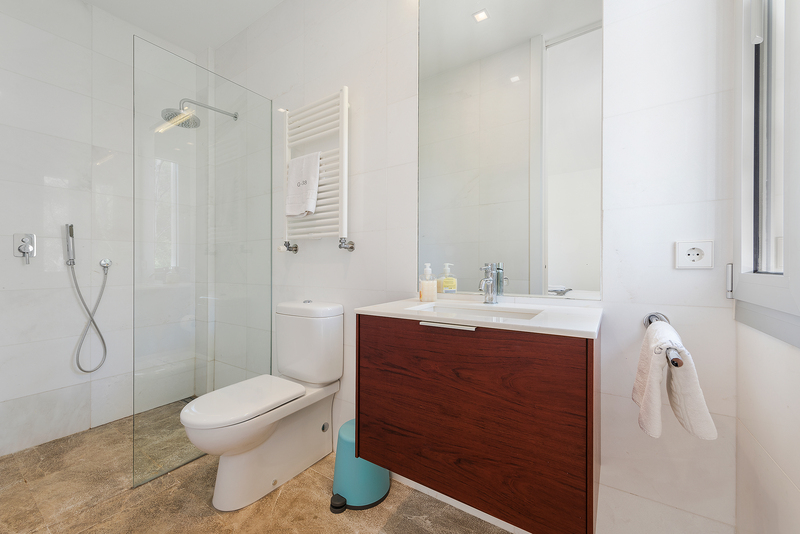 On this level there is also a gorgeous bedroom with en suite bathroom. 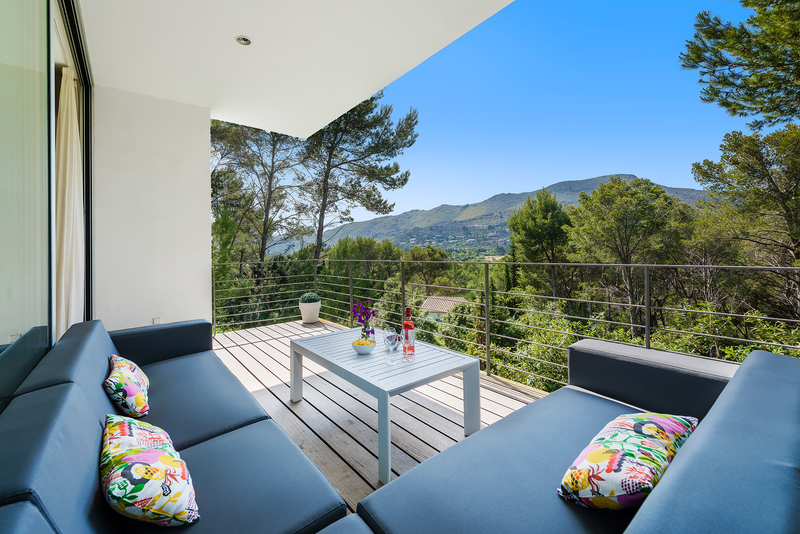 Moving up a level you come across two more bedrooms, both benefiting from balconies offering fabulous views of the mountains. 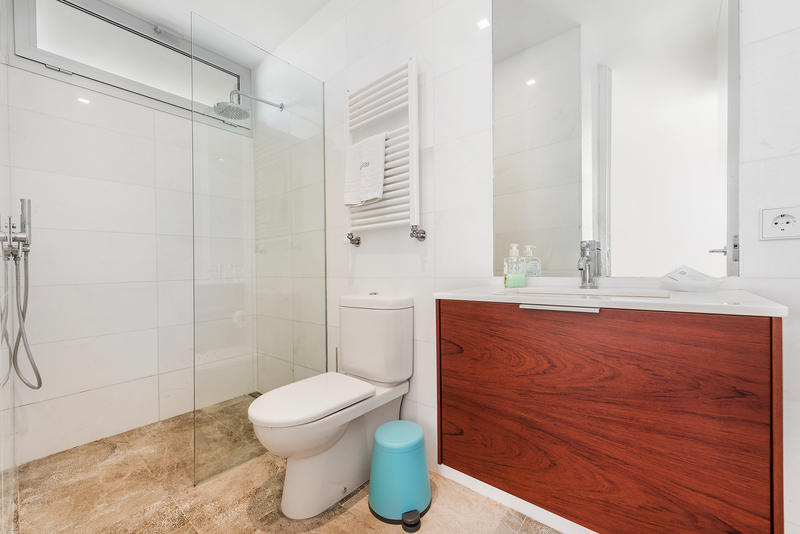 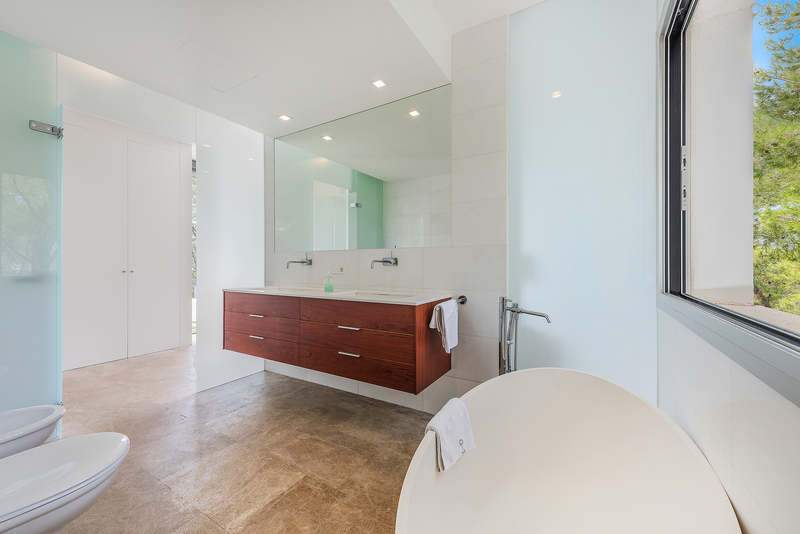 On this floor you will also find the master bedroom, the en suite featuring an oval shaped bath, perfect for a long, hot soak. 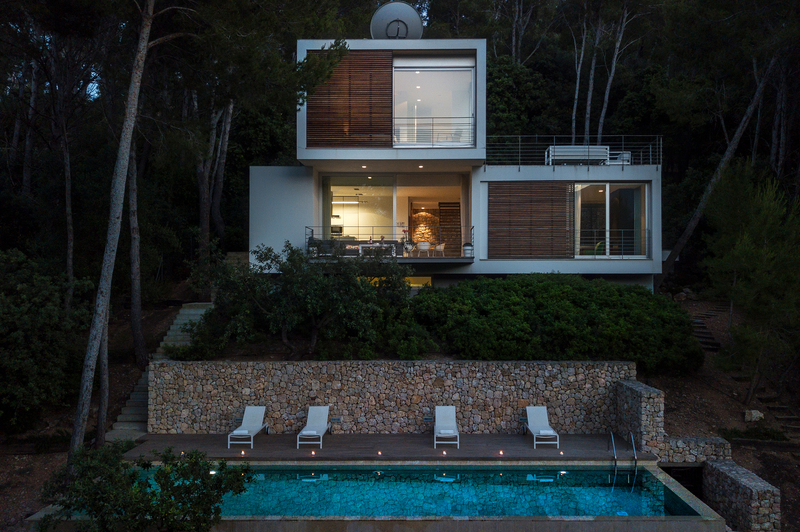 And that`s not all. 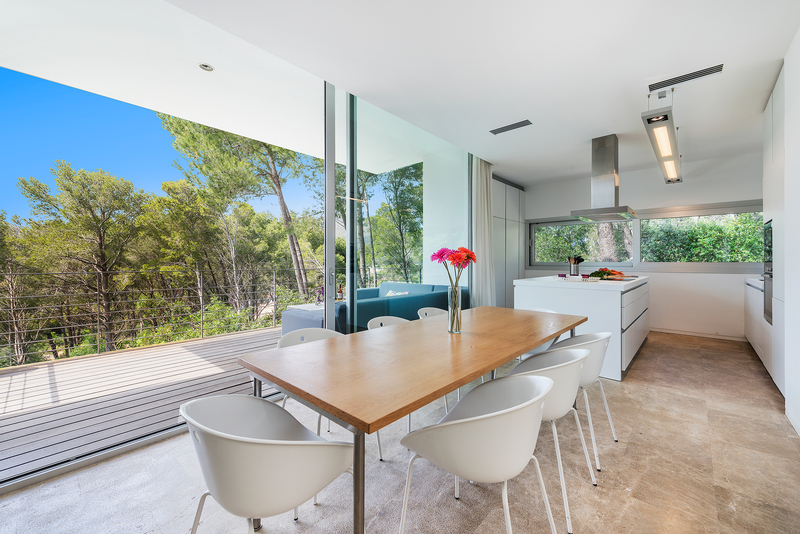 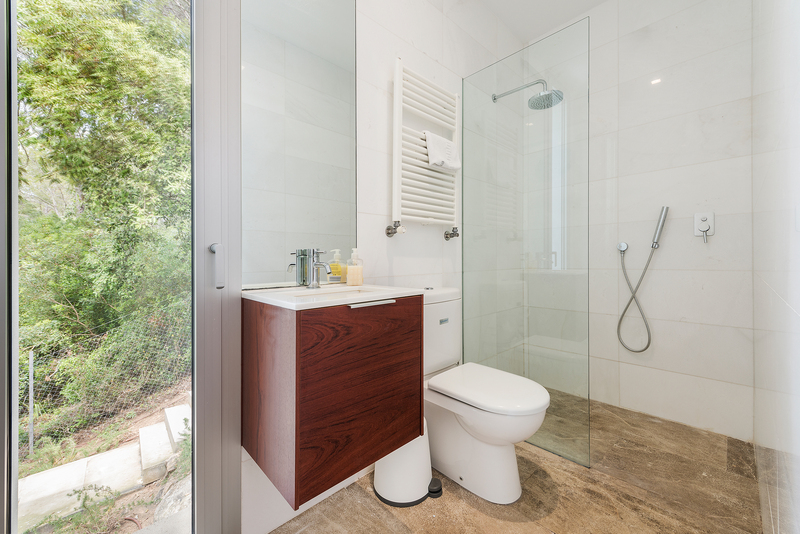 Stylish yet practical, Villa Gotmar 138 includes a utility room on a lower level complete with washing machine and dryer. 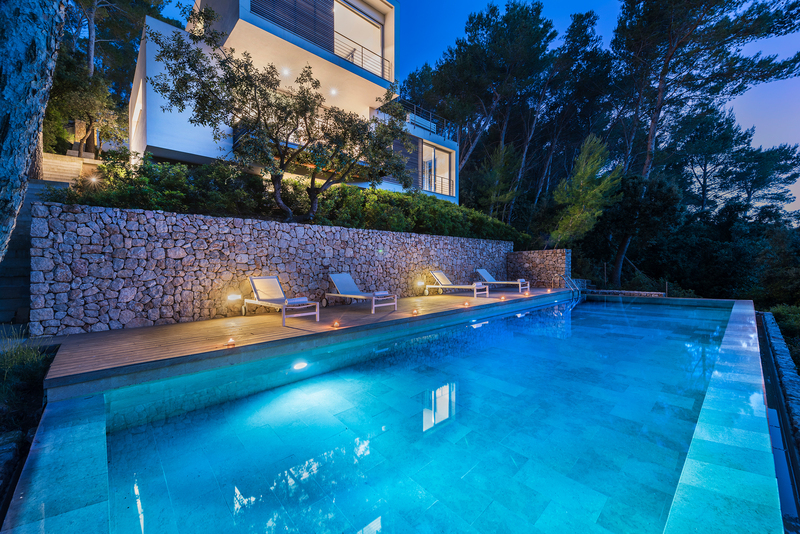 Villa Gotmar 138 is an exquisite property that sleeps up to 8 people in style and comfort. 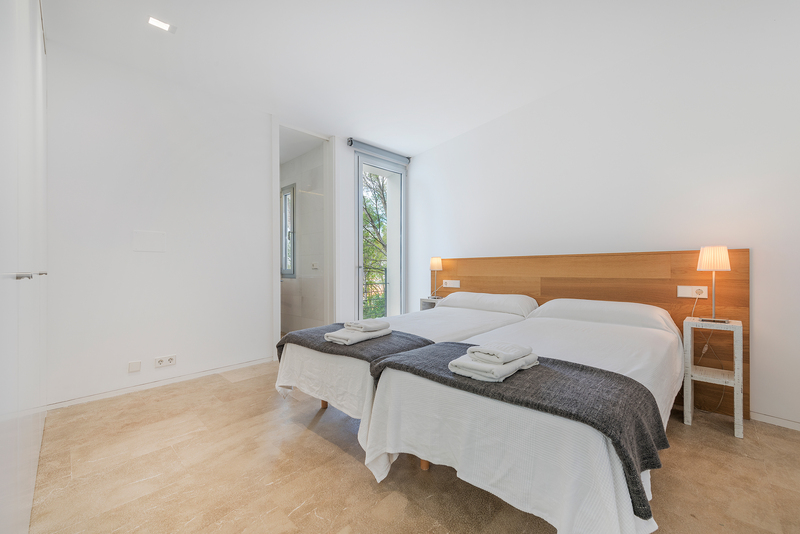 There are two double bedrooms and two twin bedrooms. 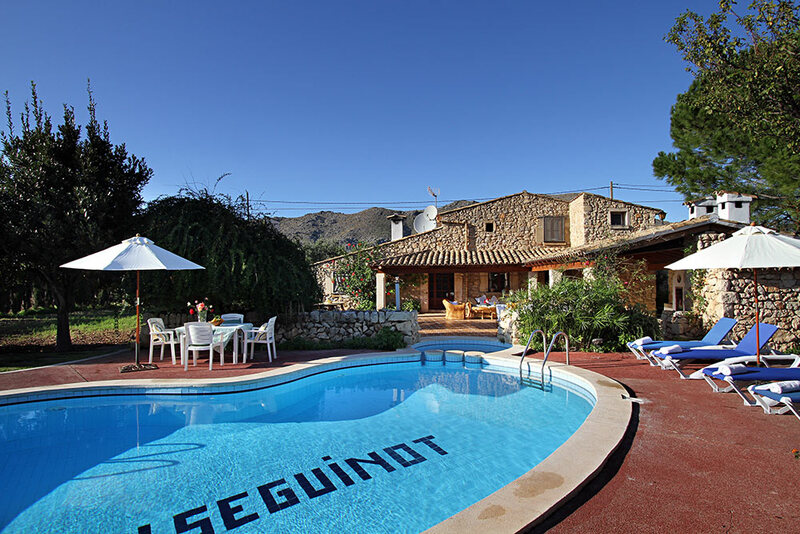 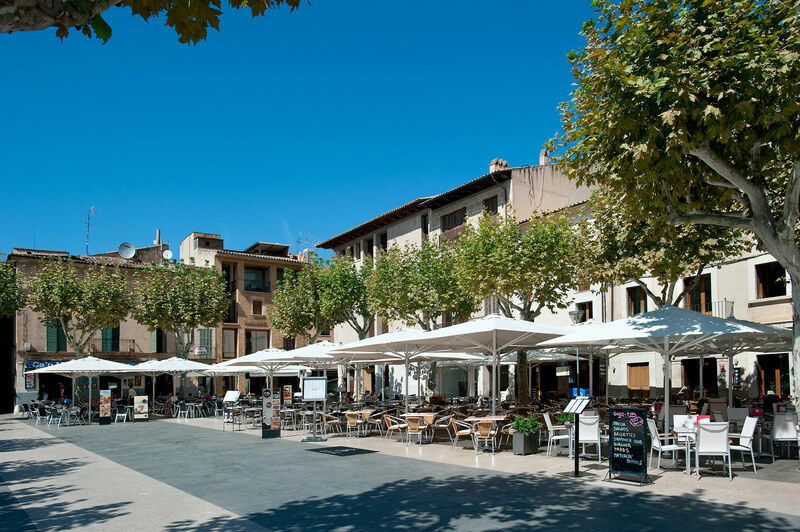 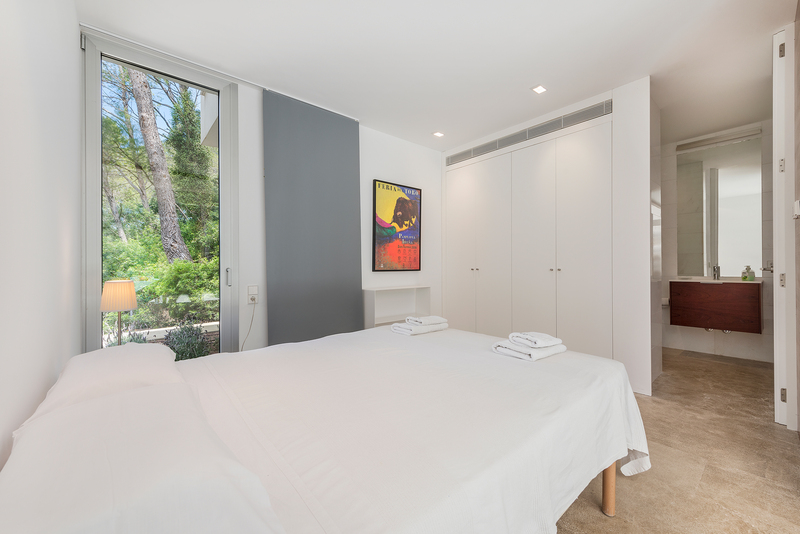 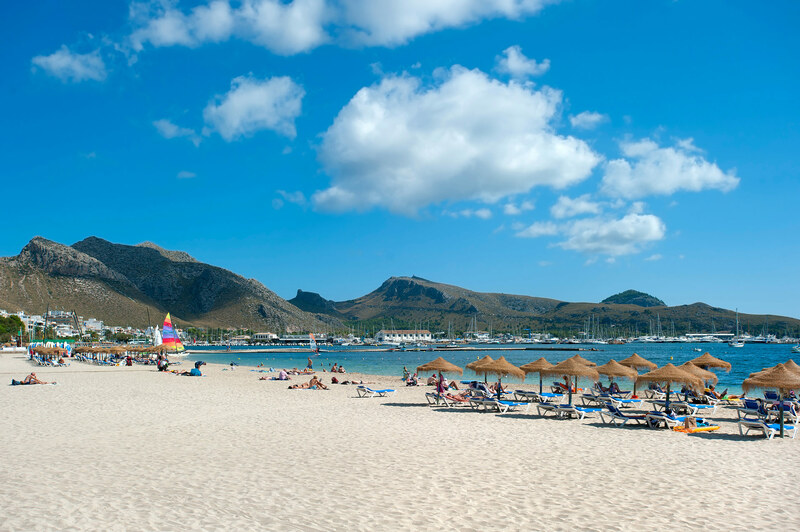 Set snugly in the beautiful Puerto Pollensa area, we strongly recommend early booking!